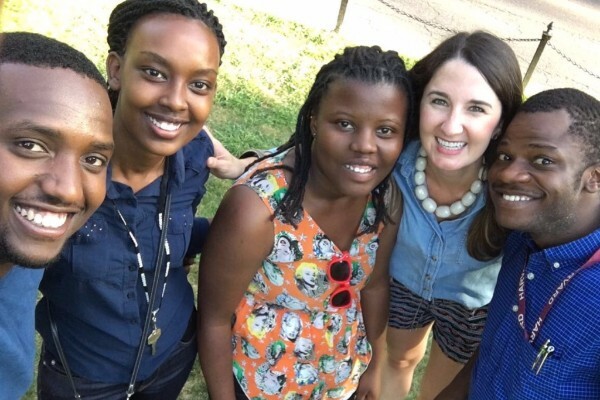 After several years of working in admissions at Vanderbilt University and as a college counselor at a private high school, Joy Beth Bodie felt an unmistakable calling to support African students in their journeys to college. In 2013, Joy Beth (an Alabama native!) 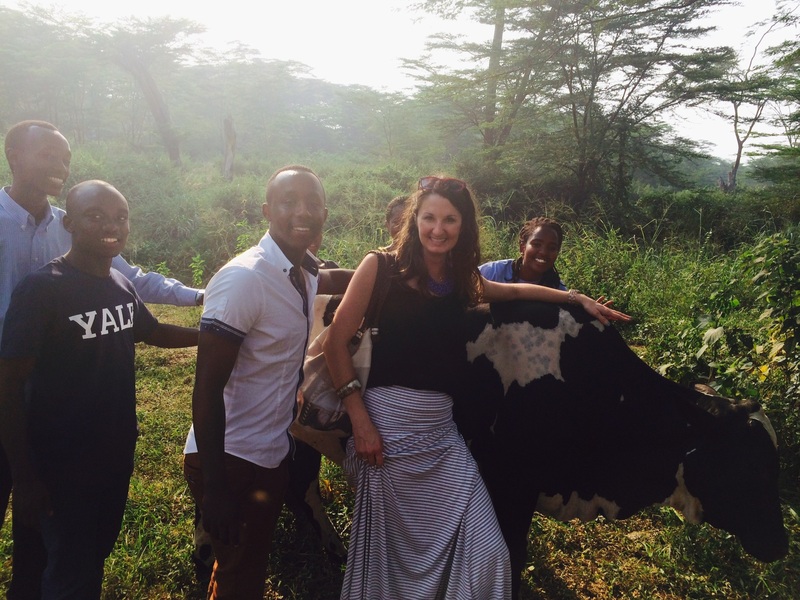 made the move to Rwanda’s capital city to join our team as College Counselor and Student Advisor. 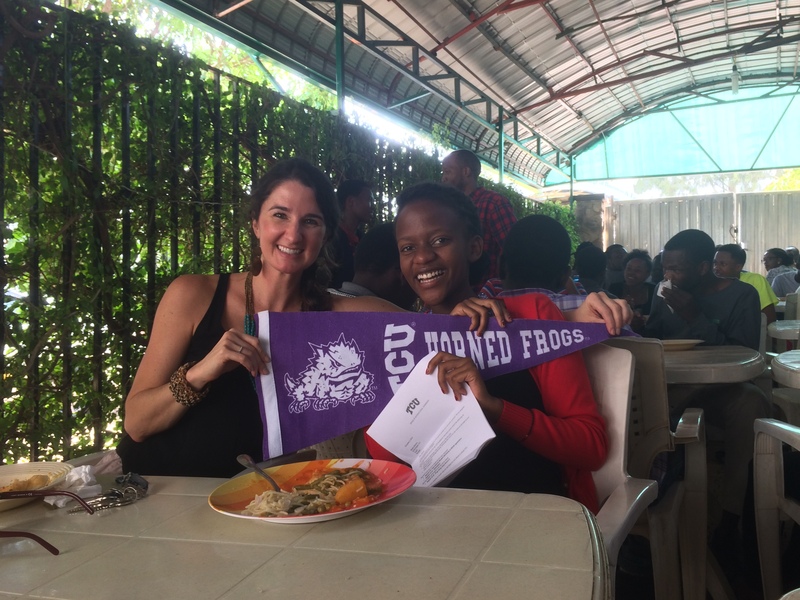 Here she shares what is most rewarding about her job, what her life is like in Kigali, and what makes the Scholars exceptional. I help students tell their stories through personal essays and apply to schools that I feel are the right fit. I also welcome university admissions counselors when they visit Rwanda and help them plan their visit. 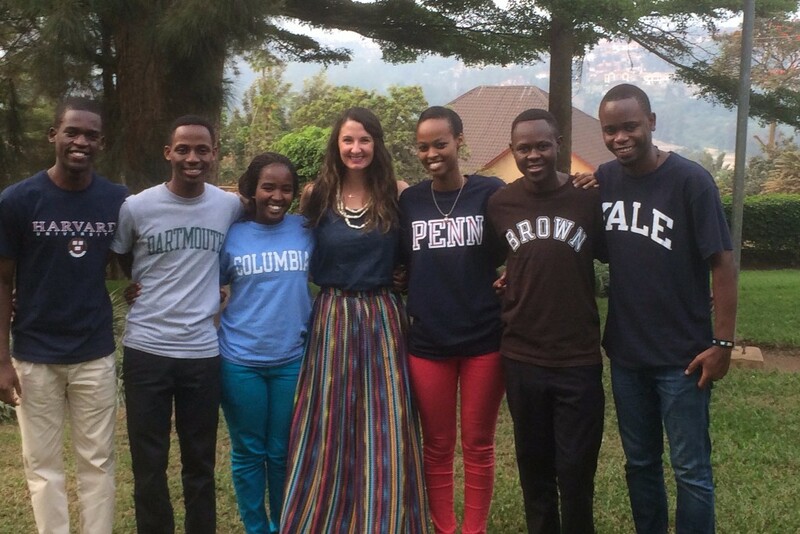 When I'm on the ground in Kigali, I live with the students in their house. This past fall, I taught a yoga class every Sunday night as well as a co-led a Bible study for the girls alongside Liz. I love being able to help when students are sick or stressed about standardized test scores. Living with them is an opportunity for me to get to know them in a different way. When I'm in the U.S., I often travel to universities. Managing relationships with universities is a big part of college counseling. It's important for the admissions officers at the schools where our students apply to trust me when I say that "this scholar is the best fit for your school for this reason." You've mentioned before that you felt called to move to Africa. How did you feel when you arrived? When Anna presented the opportunity to do this full time, I said yes the next day and quit my job the following day. I had such a peace about the decision. When I arrived and Anna took me to the office, the students were so nice and welcoming but started drilling me with questions. I remember one student asked me, “What is your life mission statement?” Their questions certainly challenged me, especially in the midst of jet lag, but immediately I knew that I was going to enjoy working with such special students. Getting to know my students' stories, personalities, and dreams and then being able to represent them to universities keeps me going, as it is a true honor and privilege. How did you like living in Kigali? Kigali is an easy city to live in, especially due to how safe and clean it is. In the beginning, I bought a pink scooter, which I still drive around town. There’s good food as well as a decent gym that I visit frequently. Instead of going shopping, I get clothes made—that’s my little side hobby. I lead baking classes with the students and host girls’ nights and holiday parties. I’ve made some good friends from the program, too. Overall, I’ve never been happier in a job. How do you match Scholars to schools? I’m able to match the students through a mix of visiting the schools, talking to admissions counselors, getting to know the students in groups or one-on-one, and being ultra-sensitive to my discerning spirit. Sometimes it happens within a few weeks of knowing a student, and sometimes it happens a few days before the admissions deadline. Why are schools attracted to B2R Scholars? They are attracted to our overall mission and the fact that the students are committed to returning home after graduating. If schools are going to invest in the students, it’s reassuring that they will be returning and investing in their country—it’s not brain drain. There’s a greater benefit. The first students at a particular school pave the way. When they start to get involved on campus, it’s hard not to notice and want more students like that. We have 20 to 25 schools who visit us in Rwanda per year, and our gap-year students share about Bridge2Rwanda and ask questions that are extremely thoughtful. Also, our students go to college prepared because they’ve been through a gap year. They have experience writing research papers, they’ve learned about leadership, and also have a spirit of humility, which makes them attractive. What is your relationship with the schools? Most admissions offices have a person in charge of Africa. The longer I know an admissions officer, the more connected we are. They trust that I’m going to speak openly about a student’s application. If a student is deferred or denied, the admissions counselor can provide some insight. It’s about an honest relationship. What value do Scholars offer schools? Our students are innovative. 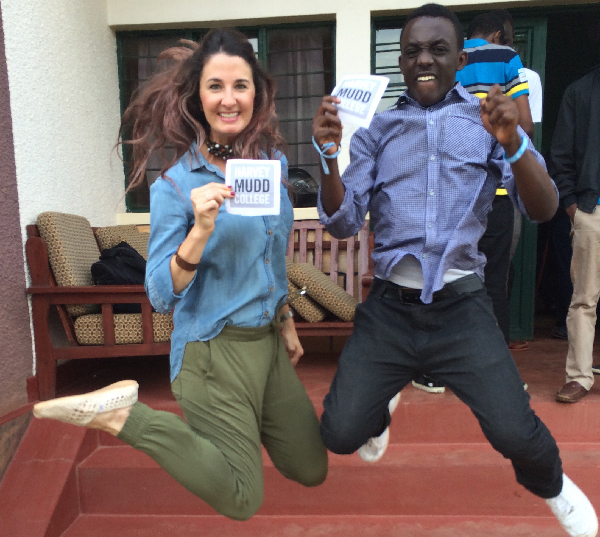 Benon at Samford College is one of the co-founders of their African Student Organization. Emmanuel at Rochester University is starting an international student organization. They're not afraid to bring new organizations to campus nor step into leadership roles. Some of our students serve as tour guides, orientation leaders, resident assistants, and peer mentors while others play club sports and are members of traditional dance troupes. They also dispel myths about their countries. We challenge them to educate their classmates, or else they're going to be frustrated by people who don't know much about Africa. For example, Pierrette at Lafayette College recently took a class on genocide around the world. The professor asked her to be in it because she wanted her to speak up in class about Rwanda’s history. At TCU, during Rwanda's memorial week, the students put up Rwandan flags in the main quad area. They have a commemoration service and invite everyone at TCU. 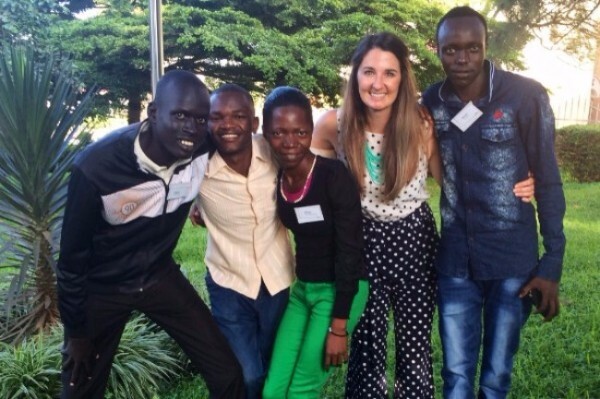 When their classmates see excitement surrounding Rwanda or Africa, they ask our students to share with them. The Bridge2Rwanda mission is to Build a bridge between the United States and Rwanda and transform lives at both ends. How has that applied to your life? My life is forever changed. Rwanda will always be a part of it. One of my favorite phrases is "Ndi umunyarwanda kazi umutima" (I am Rwandan in my heart). Living among the students has taught me about community and supporting one another through the ups and the downs. Rwandans truly care for one another, and that has made an impact on me personally. I see Rwanda as being a bright light within the continent of Africa, and I know that our students are going to play a big role in its continual development. They're going to do big things in the years to come, and I can’t wait to watch it. I'll be cheering them on! When Martin from South Sudan and Bienfait from Congo run for president, I’m ready to support them [laughs].